With over 200,000 cases of “common robbery” and “robbery with aggravating circumstances” having been reported across the country in 2017 alone, home invasions are a stark and unfortunate reality for all South Africans. Many home invasions are not reported to the police – mainly because the victims are of the view that it would not serve any purpose so the real number of home invasions are not reflected in official South African crime statistics. Furthermore, a distinction is made between burglary and robbery, which is considered a “contact crime”, since the victim/s are present during the attack. This figure does, therefore, not include the thousands of burglaries, carjackings, smash and grabs and other crimes which fall into separate categories. Home invasions are certainly one of the most severe forms of crime since the homeowners and/or family members are present during the attack and risk being assaulted, tortured, raped and even killed. Professor Rudolph Zinn, senior lecturer in Forensic and Crime investigation at the University of South Africa and author of the book entitled “Home invasion: robbers disclose what you should know”, offers a wealth of insight into the motives, target selection, methods of gaining access and the use of violence in home invasions. His interviews with convicted house robbers have certainly aided us in putting this article together and is a must-read for any homeowner. Although Zinn does point out that no level of security can completely prevent robbers, that are set on targeting a specific home they believe contains a large amount of valuables, from carrying out an attack, certain security measures and hyper vigilance can certainly deter them. There is no single method or habit that can work well enough to deter home invaders from targeting your home; it is a combination of several critical security measures and habits that may very well save your life and that of your family. Home invaders predominantly act on “inside information” and will survey your home and your patterns for a number of days or even weeks before making their attack. On rare occasions they act on opportunity such as, for instance, when a homeowner has incidentally left their electric gate open or when they’re taking a call in their driveway and are distracted. Some will actually approach you and try to gain entry to your home under a false pretence. You should never allow anyone, especially servicemen, salesmen or surveyors into your home, unless you have arranged for them to be there and have someone at the home to keep an eye on things. If you’re having any work done at your house, don’t let the workers wander around your home and, once they’ve left, you must check all the doors and windows to ascertain that nothing has been opened to allow them access at a later time. You must keep all your doors and windows locked at all times; you’ll be surprised at just how many people leave their doors unlocked when they’re home, believing their fences and gates will keep them protected, only to regret it later. 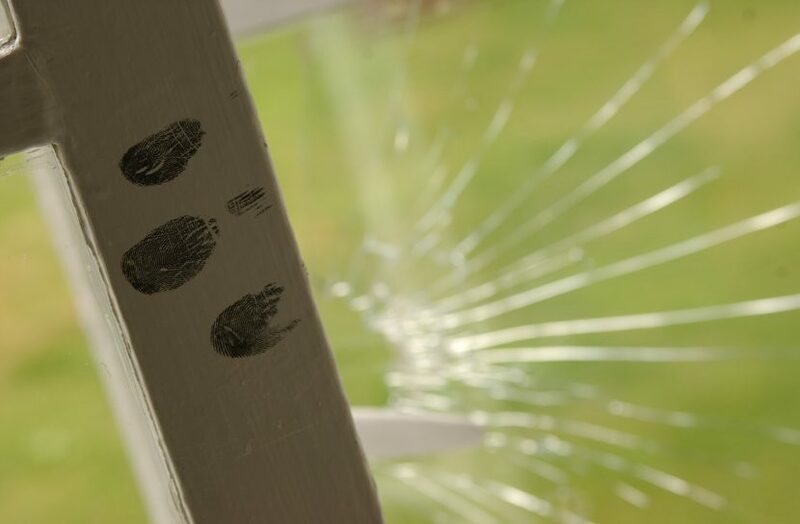 Not surprisingly, in the majority of home invasions reported to the SAPS, the perpetrators gained access to the home after attacking a family member or worker in the driveway of the property and forcing them to provide access to the home. This makes the time when you, your family members or workers are entering and exiting your home the most vulnerable and you should, accordingly, be hyper vigilant at these times. An electric gate that is operated by remote is best since it eliminates the need for you to get out of your car to open and close your gate and thus, significantly reduces the entry and exit times. In addition, wrought iron gates or any solid metal gate is preferable as it reduces the risk of robbers breaking or derailing it to gain entrance to your home. Before entering your driveway, always check to see that you have not been followed home and scan your surroundings to ensure that there are no vehicles or people standing close enough to pose a threat. Pay particular attention to any vehicles with multiple passengers and anyone who is watching you. You should never steer directly into your driveway before opening your electric gate but, rather, stop your vehicle parallel to your gate, scan your surroundings, open the gate and then enter your property. You should stop your vehicle one or two meters from your gate and wait for it to close fully before parking your car or opening your garage. This is done to ensure that robbers do not follow you in and, if they do, that you can react quickly by reversing your car or pushing your panic button. When exiting, the same principals apply; you must scan your surroundings, drive out as soon as the gate is open, scan your surroundings again and always wait for the gate to close completely before driving off. Installing safety beams on your gate will ensure that, should anyone enter the gate after you, it will automatically open and afford you the chance to reverse out of the property and get away. Gate beams also ensure that the gate does not close while your vehicle is in its path and, is a critical feature of any gate that closes automatically. To avoid providing robbers with a large window of opportunity, always make sure you have your electric gate remote in your hand before arriving at your gate. If your gate remote has been lost or stolen it is imperative that you have them changed as soon as possible. Installing an intercom system that allows you to communicate with any visitors helps to screen visitors and removes the need for people come up to your door or have you come out of the house to speak to them. CCTV cameras with a view of your street and gate can help you identify anyone scouting your area and home and alert you to possible trouble. Since in a further 40% of home invasions robbers break or derail the electric gate or climb over your fence or wall, the second most important aspect of avoiding a home invasion would be to ensure that you secure your exterior perimeter. Ensure that your fencing or walls are secure, that you have an electric fence which will sound an alarm should the electric current be interrupted or should someone tamper with the wiring. Planting thorny bushes such as roses and cacti around the exterior of your home may also deter robbers from attempting to climb over your fence or peering into your property. Guard dogs can also deter criminals but, if they are not trained to refuse food from strangers, they may be poisoned to get them out of the way. In Zinn’s book he mentions that small dogs which are kept inside of the home are particularity effective in deterring robbers since they alert the owners of activity outside and cannot be poisoned as with larger dogs that sleep outside. Your next line of defence is proper lighting of your driveway and garden. Motion sensing lights work best as they can alert you to movement, in addition to deterring criminals, who will certainly fear being spotted in such a well lit area. You can also have motion sensing beams installed around your garden, in your garage, in front of your doors and windows as well as on your roof. Light timers can also be used to give the impression that someone is home at varying times of the evening. You should always keep any tools and ladders locked away securely as most home invaders will break into your garage and use your own tools to then break your security gate, door or windows. The importance of installing strong, well reinforced security gates and doors as well as strong, quality locks cannot be overemphasised, however, these will only work if kept locked. Magnet sensors should be placed on all entrance points to the home as well as sensors in all rooms. Your alarm should be connected to an armed response security company and must be switched on when you leave your home, no matter how briefly, as well as during the night. Panic buttons should be placed in bedrooms, bathrooms and, if possible, every member of the family should carry one on their person at all times. Before entering your home, always look for any signs of a break-in and, if spotted, alert your security company or the police immediately – do not enter the house or try to see if anyone is still on the premises before calling for help. Finally, the importance of keeping up to date with your local news, communicating with your neighbours and keeping an eye out for suspicious behaviour is paramount to keeping your home and family safe from a home invasion. These sources of information will keep you up to speed on the crime trends in your neighbourhood and will ensure you know what to keep an eye out for. For instance if there are a number of break-ins occurring around your area where the robbers have overpowered a domestic worker you can take the necessary precautions to avoid this or may find out a specific make and model of car tied to recent robberies to keep a lookout for. If you have a local community policing forum, you should join it, as this will certainly help reduce crime in your area and provide you with that additional layer of protection. Have you been the unfortunate victim of a home invasion? Let us know about your experience in the comments and help another person or family prevent it from happening to them.